It is often said that Cracow Academy of Arts is an enclave of traditional form, one of the last bastions of classical art in central Europe. Is it even possible to be classical and young at the same time? As a young artists we take as a duty not to agree with everything they teach us. Do not take us wrong- we are not a rebelled, sometimes we are just suspicious. We have our right to question the spirit of our academy. This is how our work is created. Some people say it is immature, other say it is pure. 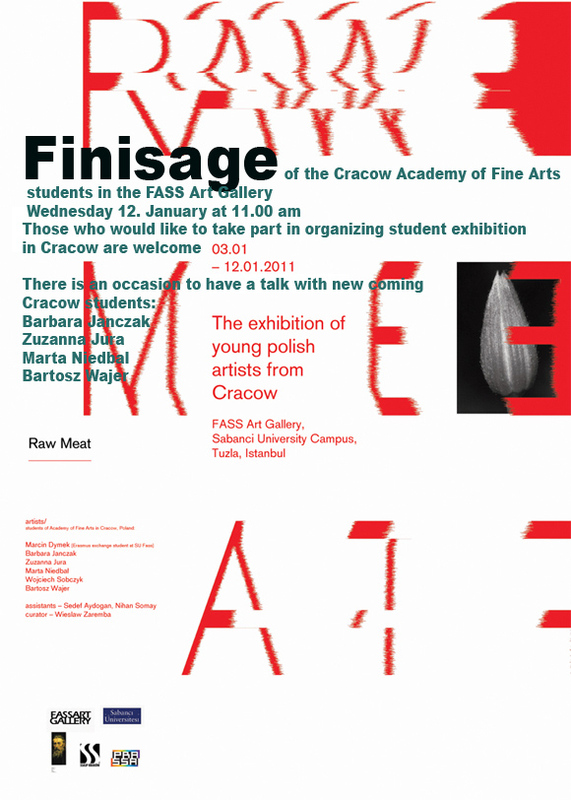 Here comes a big portion of a raw meat- art of barbarians from Cracow.